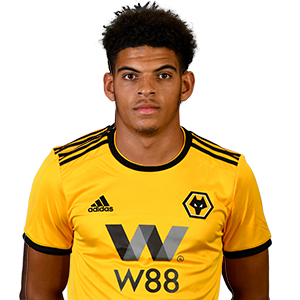 Morgan Gibbs-White is the latest Wolves Academy product and forced his way into the first-team during the 2017/18 campaign. The midfielder helped England win the Under-17 FIFA World Cup, netting in the Quarter Final and Final against United States and Spain respectively. Those performances encouraged Nuno Espirito Santo to trust the youngster and he wasn’t let down during Gibbs-White’s 15 appearances during 2017/18. The youngster made his debut against Stoke City in the FA Cup in January 2017, with his first Championship game coming the following month against Wigan Athletic. The youngster signed a new deal in January 2018, committing the next four-and-a-half seasons to Wolves.